The fire trucks may be gone but without immediate and professional follow up work, the real damage the costs may just begin. To return your residential or commercial property to its pre-loss condition requires a professional restoration services. Once the fire services complete their job, is when our job begins – repairing not only the direct damage left by the fire and the smoke, but also the water damage left by the firefighting efforts (or pipes and other water infrastructure damaged by the fire) Dry Care’s specialized fire and water restoration representatives are here to pick up the pieces and return your home to a pristine and livable condition, removing the pervasive smoke order from your home, and the soot from the upholstery and carpets. 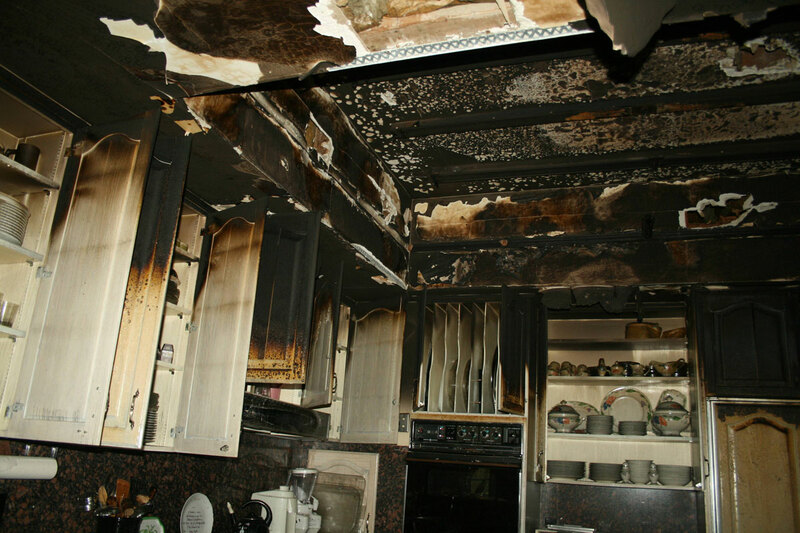 We understand that dealing with the fire and the damage it leaves in its wake is a heavy enough burden to deal with, which is why we make a point of providing a restoration process that is as straightforward and stress free as possible. In order to minimize the damage to your home, and limit your exposure to claim rejection by your insurance company for gradual water damage and resultant mold derived from the fire, it is important that you contact us as soon as the firefighting crews end their work. 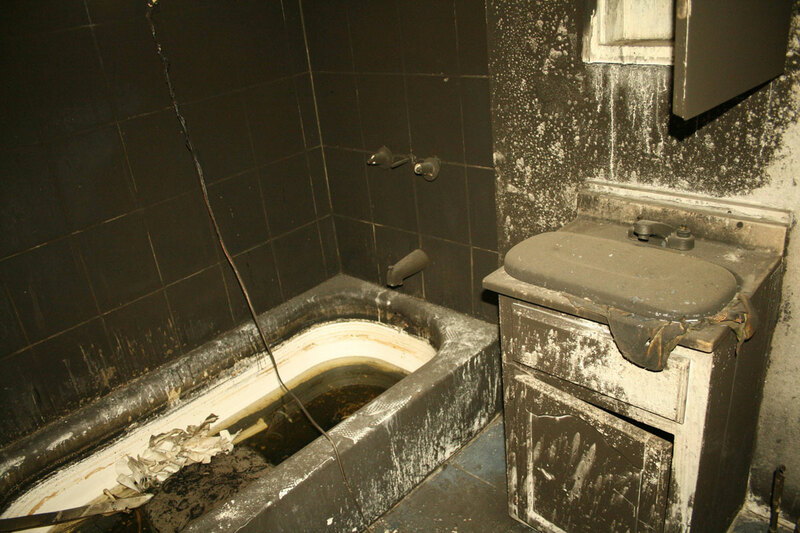 Ash and soot left in a fire will continue to impact your home long after the fire is put out. Ash and smoke, if not properly treated, will result in extensive corrosion, etching and discoloration as well as powerful and persistent odors. The good news is that professionals such as DryCare Restoration Inc. can reverse this damage before it becomes a major problem – if they are contacted soon enough. 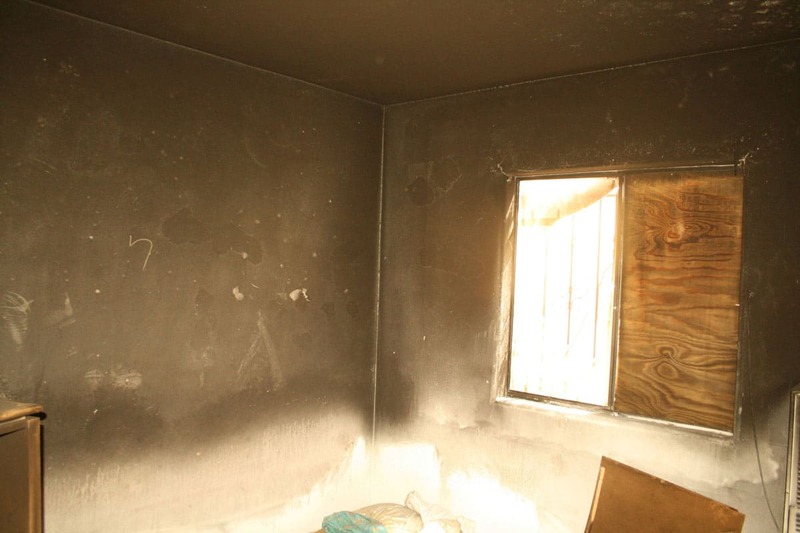 DryCare Restoration Inc. can clean up smoke damage and restore items affected by a fire, but we need to get to the site and initiate operations as soon as possible to halt the ongoing issues that ash residue can cause. The first noticeable effect of ash in the home is to discolor most surfaces. Anything that is made of plastic or that was close to the fire will start discoloring within minutes, and after a few hours, fiberglass and finishes on your appliances will begin to yellow. Metals may also tarnish. Within a few days, ash residues may result in permanent discoloration of your walls as well as clothing and upholstery. Wood and vinyl will need to be refinished or replaced. If a professional isn’t onsite immediately to treat the ash and smoke damage, the costs of restoration will skyrocket after a few weeks. Metals may need to be replaced, the carpets will be permanently discolored and glass may be severely etched, which will necessitate replacement. Furthermore, the smoky odors will persist. Since ash is acidic, the longer it takes to hire experts, the more destruction it will cause. The first thing we do when we arrive at site of a fire damaged building is to identify all affected materials and locate the source of any odors. Thoroughness is the name of the game when dealing with ash and smoke damage. As ash residues are easily disturbed, they can spread through the building with ease, damaging nearly every item and surface in the affected building and escalating damage the costs of restoration the longer treatment of the damage is deferred. Furthermore, over time, ash builds up in layers, and may eventually form into lacquer-like consistency which is much harder to remove. 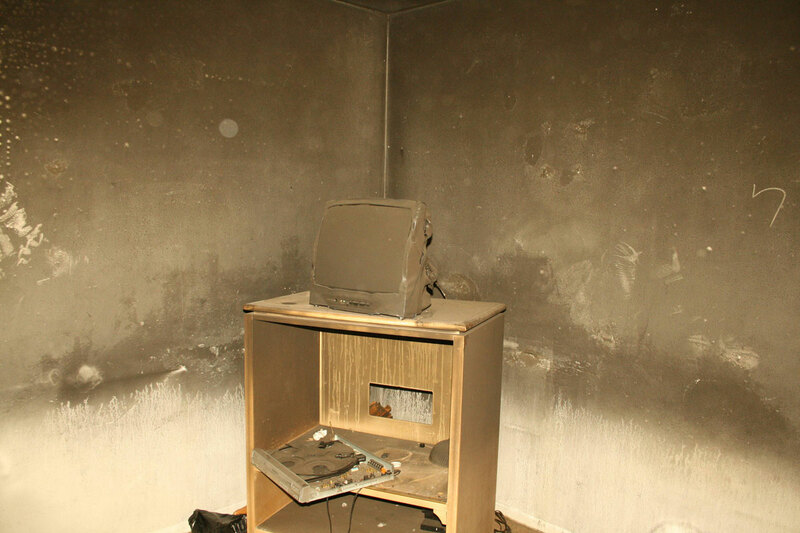 Call DryCare immediately so we can remove ash residues before they have a chance to build up. Once we do that, we will locate the source of the odor, and treat it with specialized detergents designed for neutralizing smoky odors. What you should do after a fire? Limit your movements within the home. Footsteps can result in soot particles becoming embedded in the upholstery and carpets. Keep your hands and feet clean of soot to avoid further soiling upholstery, walls and woodwork. Cover rugs, upholstery and carpet traffic areas with clean towels or old linens. If the power is off (or the electricity infrastructure damaged) empty your freezer and refrigerator and prop their doors open. Apply a light coating of petroleum jelly or oil to chrome surfaces. Rinse the leaves of houseplants on both sides. Replace your HVAC filter. Tape double layers of cheesecloth over air registers. Cleaning any electrical appliances that may have been exposed to the fire, excessive heat or the water that put out the fire. Using any canned or packaged food or beverages that might have been exposed to the fire, excessive heat or the water that put out the fire. Turning on the ceiling fixtures if the ceiling is wet. The wiring may be damaged. Sending clothing to an ordinary dry cleaner. Improper cleaning can fixate the smoky odor in your clothes. Our supervisor and foremen will personally deal with the fire department, your insurance carrier, and all other parties involved, thus lifting this burden off your shoulders and clearing your mind to focus on getting your family’s daily routine back on track. The restoration process begins when you call the DryCare call center which is staffed 24 hours a day. Our representative will ask a series of questions regarding the fire damage event and then dispatch an expert with the appropriate equipment and resources. Remember: the sooner you call, the earlier we arrive. The earlier we arrive, you will face less additional damage, and lower chances of claim rejection by your insurance company for gradual damage. Severity of the situation – if the loss is too great, it is sometimes be more cost effective to just level the property, while salvaging whatever we can. 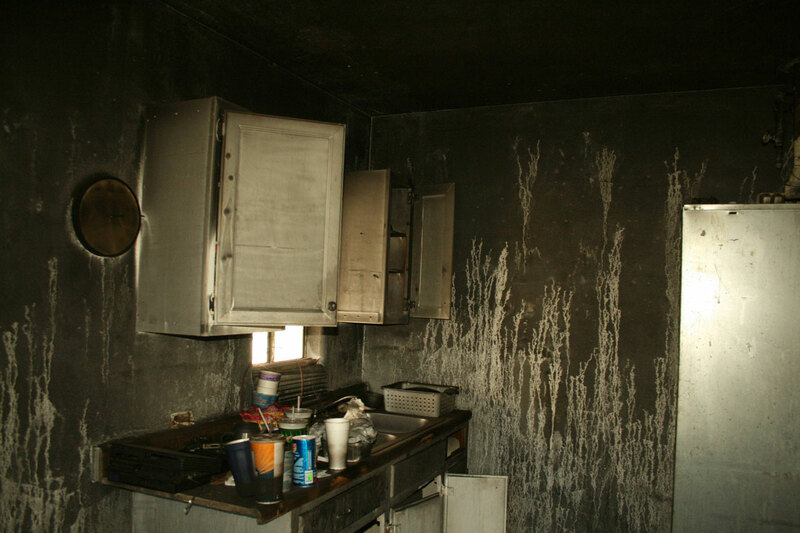 However, if the severity of the situation isn’t as catastrophic, for example, when there’s only smoke and soot damage, the property can be cleaned, deodorized, and then restored to a pre-loss condition. Does the situation require drying in addition to clean up? When fire sprinklers go off and/or the fire dept. shows up, the situation can sometimes become more of a water situation rather then a fire and smoke situation. Are personal belongings and content affected? Are they salvageable? If the answer is yes for both questions, we have the tools, experience, and the knowledge to get the job done. As soon as your home is secure from additional damage, we will began a water removal process, using dehumidifiers and air movers to remove any water left over from the work of the fire services. DryCare utilizes specialized equipment and techniques to remove smoke and soot from ceilings, walls, and all other surfaces. DryCare believes in restoration, not replacement, seeking to lower your costs and preserve the items that are precious to you. 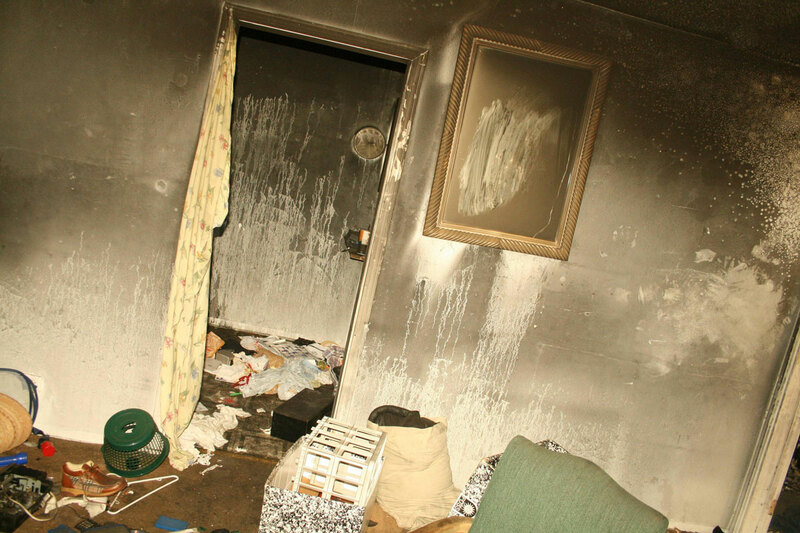 Accordingly, our experts will clean all restorable items in your home that were damaged by the fire and the firefighting efforts, utilizing a variety of innovative cleaning techniques to restore your belongings to their pre-fire condition. Our experts are specialists in removing smoke odors, using negative air machines with a carbon filter and ozone generators to eliminate the smell of smoke. Throughout, we will take care of managing insurance issues regarding the restoration of you possessions and are prepared, should you so require, to accept out of pocket payment. Before your home can be restored to its pre-fire condition, the structural damaged by the fire must be removed. The process can be troubling to the homeowner – but have no fear, we do everything to make sure this process is as painless and rapid as possible, laying the groundwork for the restoration of your home to its pristine pre-fire condition. This is what you have been waiting for – the restoration of your home or business to its pre-fire condition. This includes the replacement of damaged structural elements and may involve minor repairs, such as replacing drywall, painting, and installing a new carpet; or it may entail major repairs such as the reconstruction of various areas or rooms in a home or business. Rest assured that once the process is complete, your home will return to its pre-fire condition and you can return to your normal daily routine. Throughout this process, the supervisors and foremen of DryCare Restoration Inc. will personally deal with the fire department, your insurance carrier, and all other parties involved, leaving you free to recover from the disruption caused to your lives by the fire. DryCare Restoration Inc. prides itself on providing professional and timely service to all clients, regardless of the cause or severity of the fire damage you face, and are prepared, as leading experts in the industry utilizing state of the art equipment and techniques, to take on even the most challenging situations. Our motto is that while not all fires can be avoided, any home damaged by fire can be restored- and we are here to restore it.